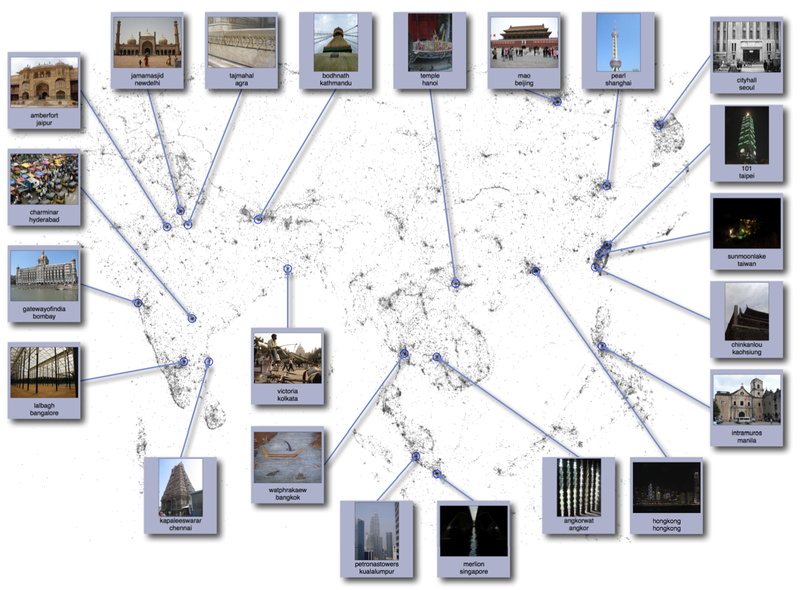 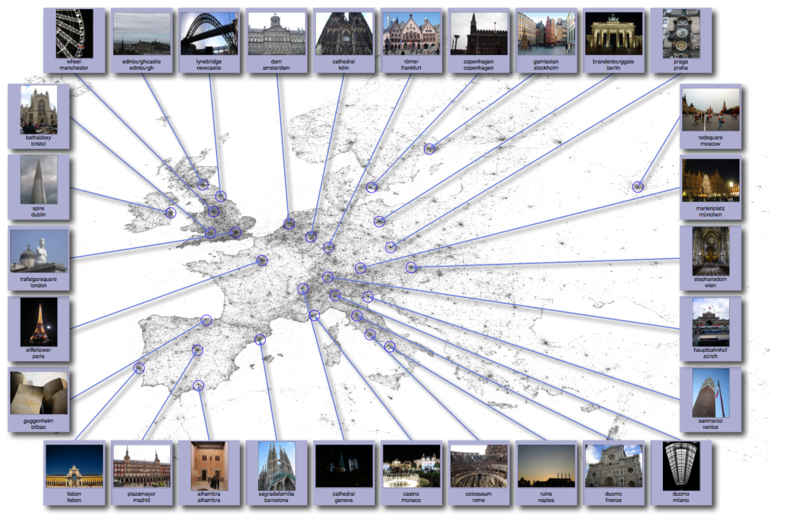 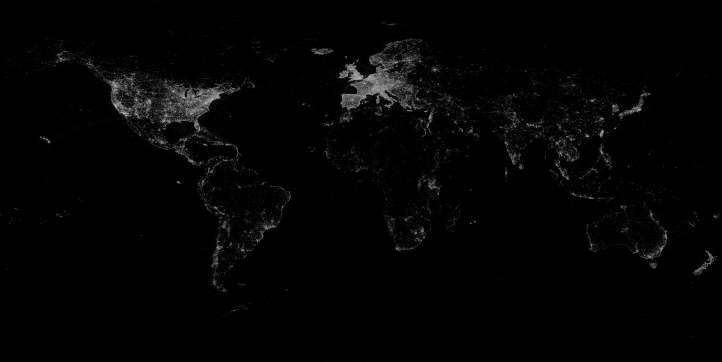 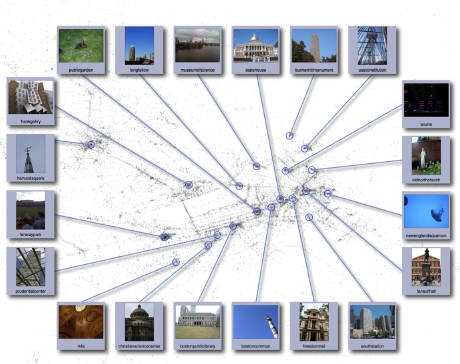 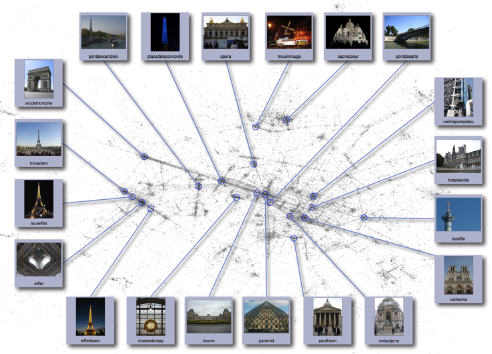 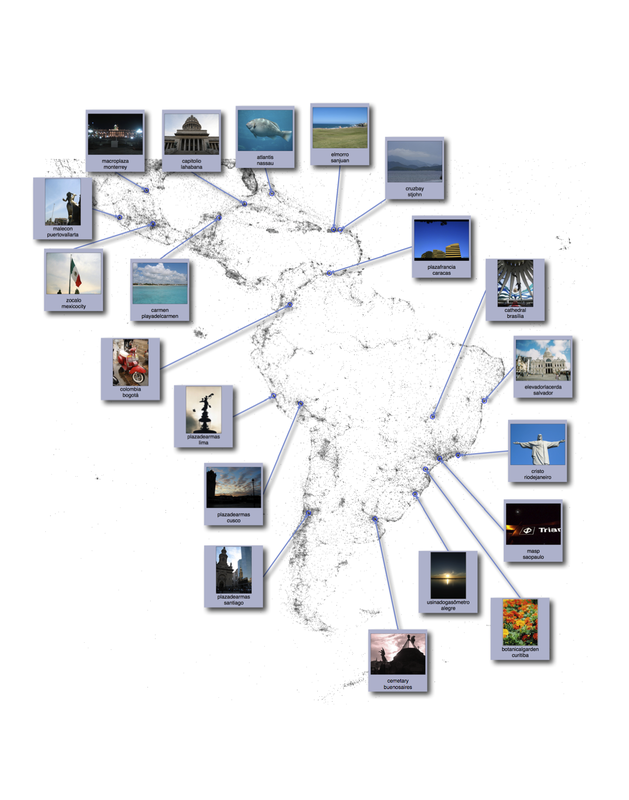 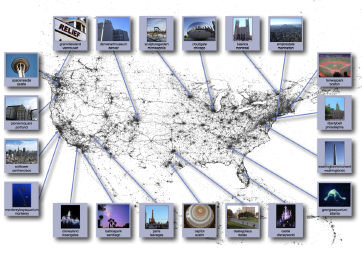 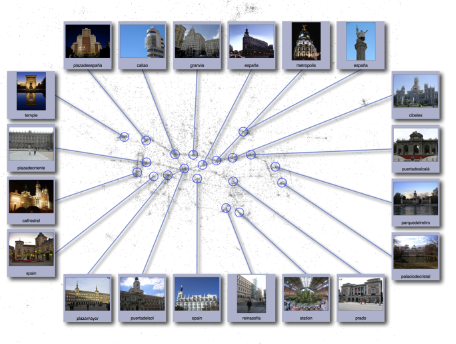 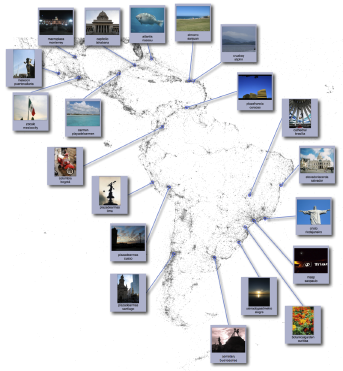 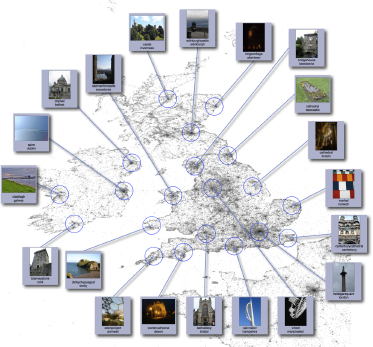 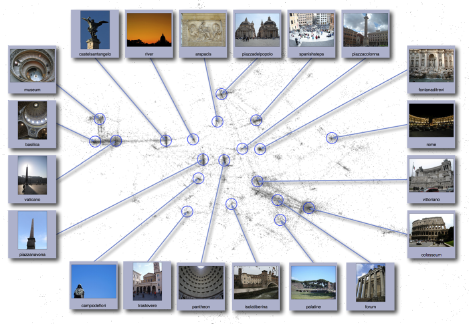 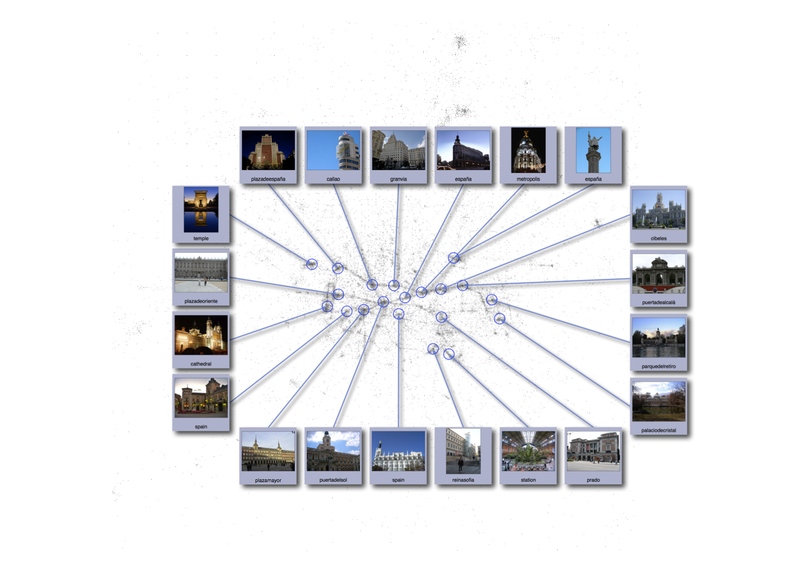 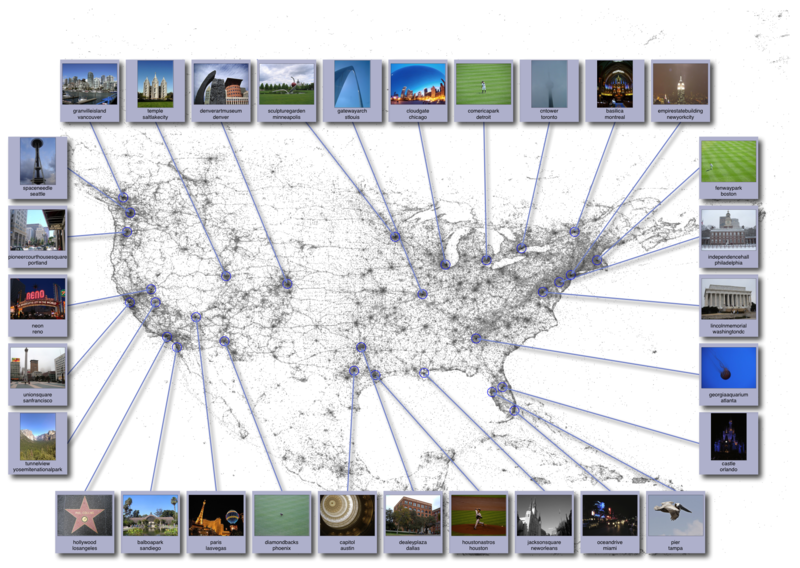 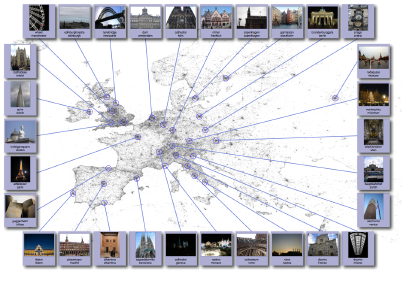 We investigate how to organize a large collection of geotagged photos, working with a dataset of about 35 million images collected from Flickr. Our approach combines content analysis based on text tags and image data with structural analysis based on geospatial data. 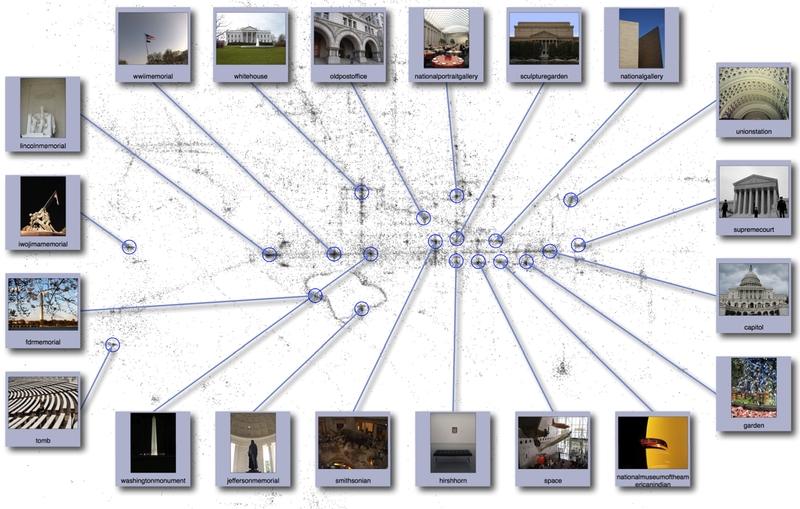 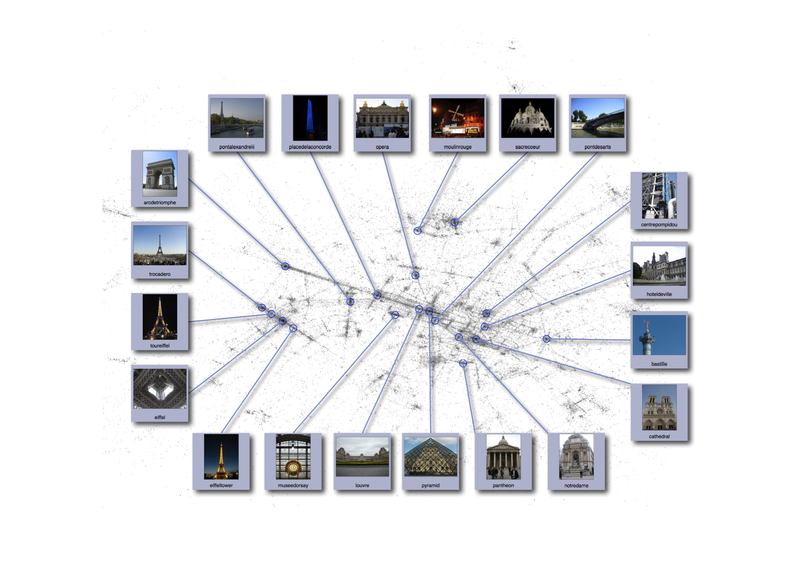 We use the spatial distribution of where people take photos to define a relational structure between the photos that are taken at popular places. 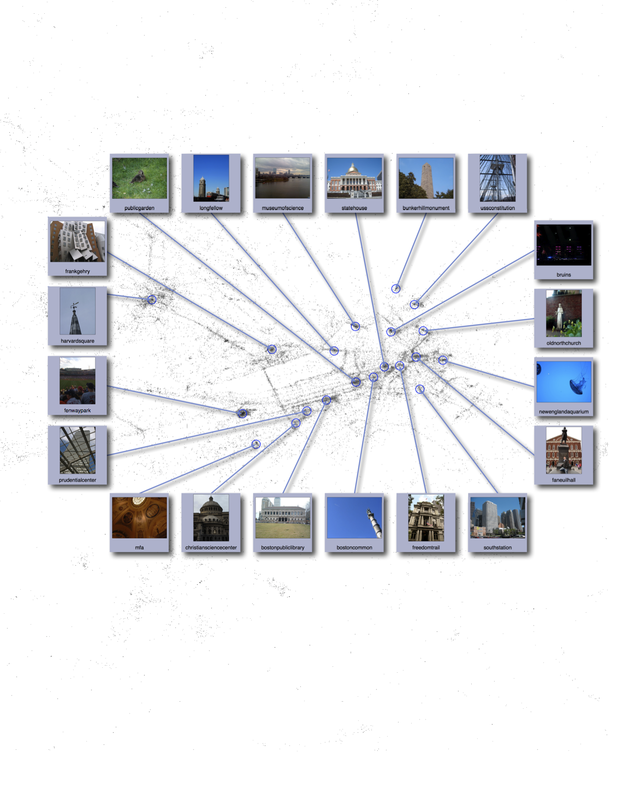 We then study the interplay between this structure and the content, using classification methods for predicting such locations from visual, textual and temporal features of the photos. 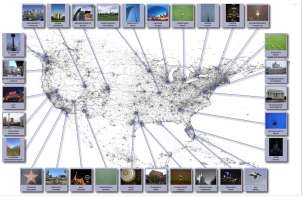 We find that visual and temporal features improve the ability to estimate the location of a photo, compared to using just textual features. 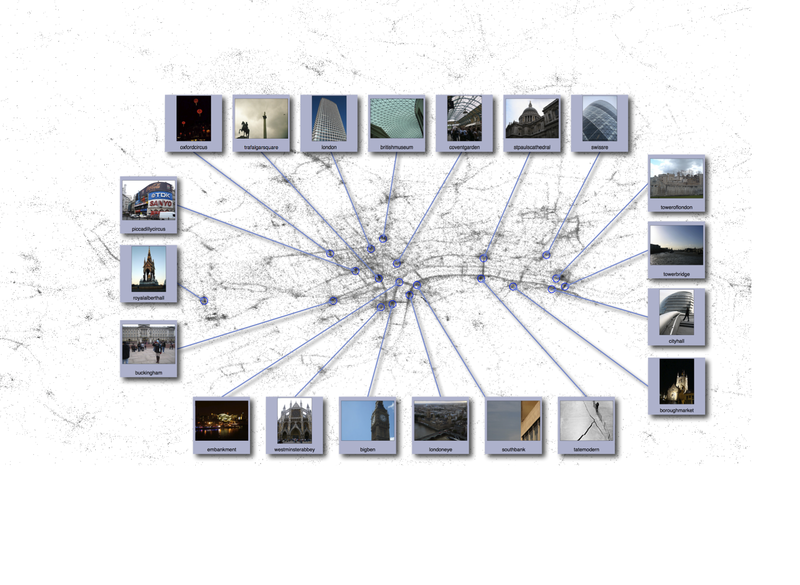 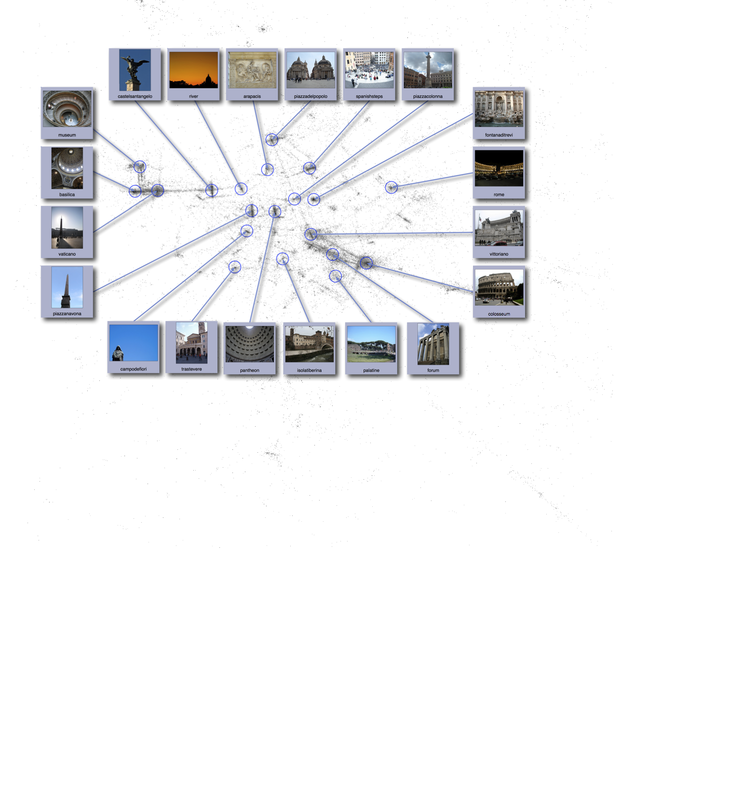 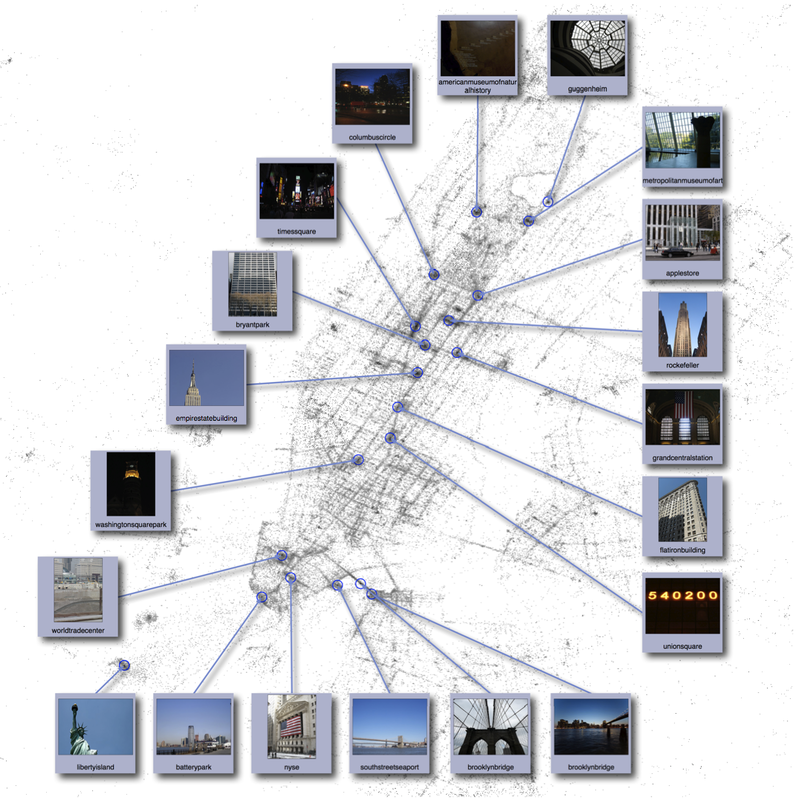 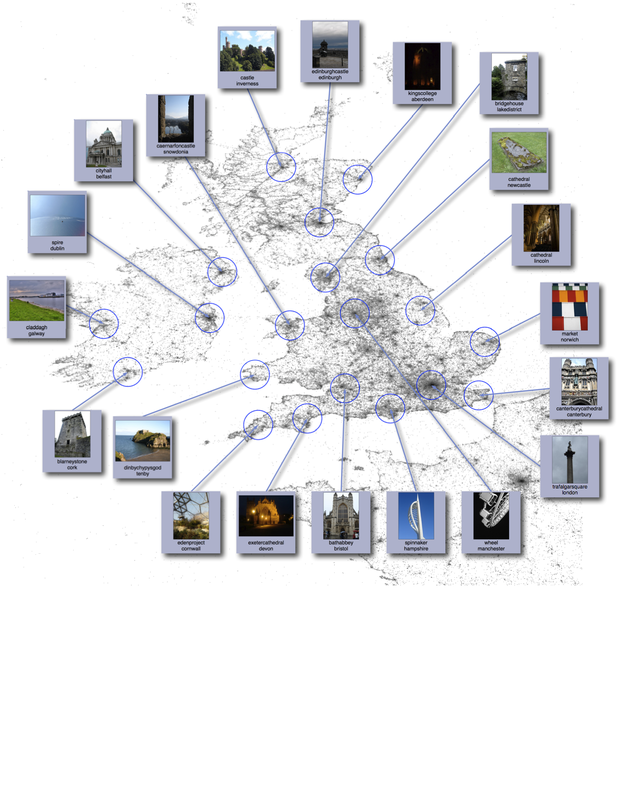 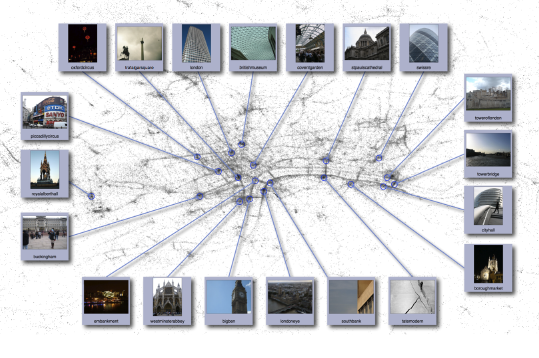 We illustrate using these techniques to organize a large photo collection, while also revealing various interesting properties about popular cities and landmarks at a global scale. 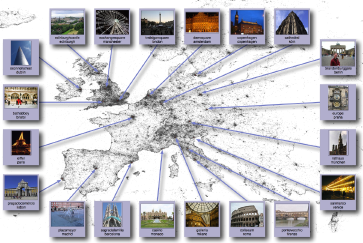 For more details, please see our WWW 2009 paper.